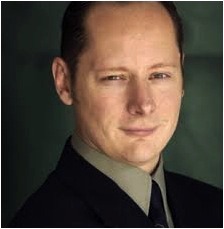 Steve Mazan can tell you—neuroendocrine cancer is no joke! In 2005, Steve received devastating news that he had stage-4 cancer in his intestines and liver. Immediate surgery removed the cancer in his intestines but oncologists told him there was no treatment or cure for the dozen rare tumors that covered his liver. Their worst-case scenario was that Steve had five years to live. Not being a worst-case scenario guy, Steve decided that instead of feeling sorry for himself he’d pick up the pieces and spend whatever time he had left chasing his ultimate dream of performing his stand-up on David Letterman’s show—the ultimate showcase for any comedian. As a veteran entertainer and seasoned public speaker, Steve’s ability to make things happen is a terrific addition to the advisory council.